Hydro Blue 5 I live in Michigan and when the weather does allow me to wash a car using Hydro Blue keeps it looking good even in the great white north. hydro blue sio2 coating 4 easy to apply but it takes two people to do it efficiently. it also takes a lot of the stuff to thoroughly cover the car. leaves a very good water dispersing coating. I plan to use it repeatedly through the winter months. It Actually Works! 5 I was skeptical about the claims made, but this stuff actually works. I used it with the Sio 2 auto wash and then blew the water off after rinsing. Cons:Relatively expensive for the amount you get and how long it lasts. Use it for everything! 5 Easy to apply and use. Just spray on and rinse off. It coats the panels with ease and the excess rinsing run off coats everything else. Plastic trim, rubber gaskets, headlights, grill, chrome and bumpers. Dont forget to do the wheels. Believe it or not I even use it on the windows for my sunroom. Keeps everything cleaner for longer. Hydro Blue Me Away! 5 I will admit to being basically lazy, and as such, Hydro Blue is perfect for me. Wash car, rinse, spray Hydro Blue, hard rinse and done. I typically spin dry my car on the highway at 70mph. That was how fast I had to go to get the water off with the major brand "best" coating. With Hydro Blue the water starts flying off the car at 40mph! And also makes the windows clear water in the rain better than Rain-X. Totally Surprised 5 Have to admit I bought Hydro Blue Sio 2 because it was Bogo. As I applied, I'm thinking "This has to rank among the most ridiculous things I've paid for. Standing here spraying it on and immediately washing it off. I'm being punked. Then I dried and stood back. OMG this stuff is for real. Used it on an 18-year old speed yellow 911. The paint looks liquid. Phenomenal product. Doesn't make sense until you experience it. McKees hydro blu 5 We were amazed at the time it took to get what use to take almost all day. Awesome! Pros:Shiny, less time working, beautiful outcome. water beads 4 did work well but I will top it off with my go to wax that sheets water off. When there is dew in morning and sun comes out it looks like it has been dried. same with rain if not driven. Pros:Quick and easy to apply. Don't Use Too Much 4 In my first try, I used too much. Ended up with streaks. I called, and Nick explained that I should have the bottle in one hand and the hose in the other, the second car was perfect! This stuff goes a long way, don't waste it! Pros:Great shine, goes a long waay. Cons:If you use too much, there's a lot of rubbing. HYDRO BLUE SOI COATING 5 Thanks Nick for the oppertunity to review your product.Even thou its only been a few weeks. After recomended prep work the product worked as stated, and i am very pleased.THANK YOU! Worked as Advertised. Spray and Rinse. 5 This is the first product I purchased from the McKee's line-up and it worked as advertised. Being able to spray and rinse it on is a great and far easier than waxing the car like I'm in the Karate Kid movie. I've only had it on my car two weeks, so I cannot comment on duration I believe they say it will last a couple of months. They recommend prepping the car before using it e.g. claying the vehicle which I did not do so we'll see what happens. I used the whole bottle to cover two cars. Later, I found out from the McKee's YouTube channel I should have been able to do four cars with it and I was using too much product so be careful with how much you use. Great Product and I'm definitely purchasing more. Hydro Blue Sio2 5 Performed as Mckee's and others said it would. I have a bad back and waxing my van the old way is out of the question for me. 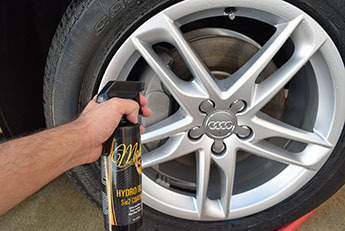 This product makes it easy for me to keep my vehicle looking sharp! No more back pain after waxing my van! Mckee's offers special deals and free products with your purchase! Discounts for repeat customers! Check out their website before making your purchase. Pros:Easy to use. Produced an amazing water beading protection without leaving streaks. Cons:On the pricey side for the 16oz. size, but look for McKee's specials and buy in bulk to bring pricing down. Magic! 5 How does this even work! What a cool bit of chemistry this is, spray product, jet rinse for 10 seconds, sealed, dry what little water remains, done! Such a cool product and lots of fun to use. I prefer to use it for wheels as I can get all the nooks and crannies and have it sealed up to 3 months! 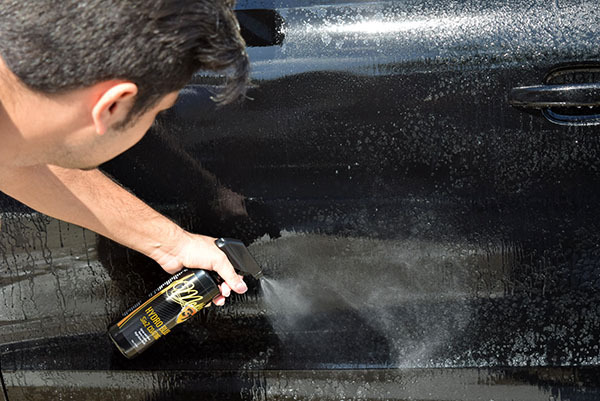 Product is easy to overuse though, no need to cover every inch of a panel and then rinse, the very fact that youre blasting it off the panel will spread it for you. This is a slight learning curve and might lead to streaking. User error as opposed to product issue.. 5 stars! Works amazingly well 5 Tried on a vehicle without protection. WOW is all I can say. Tried on a vehicle with protection and had the same great results. This is a must have especially in a hot environent. Great product 5 Easy to apply nice shine. Beads up and sheds water great. It Works! 5 I used this on my metallic black S63 AMG Mercedes. Washed the car before application as instructed on video. 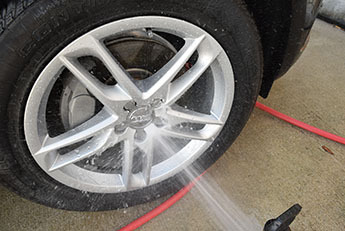 Product is very easy to apply and after 3 weeks the beading is still very visible I hand wash my car every week. Highly recommended. Great shine and effortless application. Its important that you only apply one panel at a time. McKee's Hydor Blue Sio2 Coating 5 Great product that works as represented. will purchase again. Pros:Easy to use and effective. HYDRO BLUE 5 At first I was skeptical especially after using the entire bottle on one car....after finding out I over applied the product and looking at the results I am reordering it now, but I would avoid using it on glass. Hydro Blue 5 I've been waiting for over 50 years for a product like this. At 68 years old, I really don't feel like waxing as often as I did when I was 18 but I still want my car to look it's best. This product doubled the shine of my recent wax job and the finish sheds water like crazy and makes it easy to clean bugs off the finish. I washed the car last night, took a spin dry around the block and finished drying with one micro fiber towel in less than 5 min. So far, the best product I have ever used on any of my car finishes. A Winner From McKee's 37! 5 I have been a long time fan of Detailer's Pride / McKee's 37. After seeing few few videos online, I was really curious and anxious to try Hydro Blue. Using my wife's 2015 Toyota Corolla as a test vehicle, I first washed and clayed clayed for the first time the car. Please understand, the car is silver, which is so forgiving, I barely thought about detailing her car. She runs it through a car wash every now and then, and that's about it. Taking her sandpaper-like surface down to a smooth slippery shine via clay made a huge difference. The next step, hand washing using Mr. Pink. After tthe final rinse, it was time to give Hydro Blue a shot. Following the directions, I worked around the car, panel for panel, becoming more and more amazed by the results. After the application was finished, I took the nozzle off of the hose to flood the car with water in order to observe the sheeting effect. WOW! It was truly incredible! I ran inside to show my somewhat interested wife, and her jaw dropped as well! 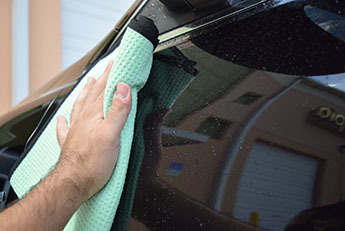 I was then able to dry the entire car with a single, 16X16 plush microfiber towel. Either I went a little too heavy on the application, or I wish there was more in the bottle. I used a little over 1/2 a bottle for the car, which made it about and sealant. Only time will tell how well it will hold up, but for now, I'm riding high on the results. Cons:If I had to be critical of anything, it would be that, although I worked in the shade, with a temperature of about 80 degrees, there were a couple of very minor streaks caused by the product drying on the windshield where I obviously did not rinse it well enough. I quick wipe with my favorite glass cleaner solved the problem, but may have taken away the protection of Hydro Blue. Hydro Blue 5 Bought it a month ago and used it for the first time yesterday on my daughters car. Extreme Iron removwer, washed with Extreme foam formula 2 B method, clayed with N-914. Sprayed Hydro Blue and rinsed / dried. Couldn't be easier and results were stunning. Buying a gallon now, its awesome. Haven't found a McKees product that hasn't exceeded my expectations. Hydro Blue 5 Hydro Blue is amazingly easy to use, It leaves behind a candy gloss that is super slick to the touch. It is amazing to see the water behavior change before your eyes. It provides amazing beading and sheeting when water makes contact with the paint. Really impressive product. Hydra Blue 5 Used this for the first time on 2 vehicles a few weeks ago. The results where amazing. The water beads like crazy and the shine looks like right out of a showroom. Thanks again. AMAZING 5 Great product for a fast and easy way to protect your vehicle for months. Pros:Lasting protection and extremely easy application.